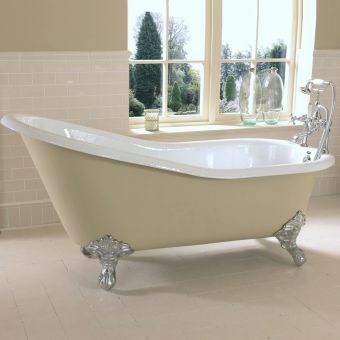 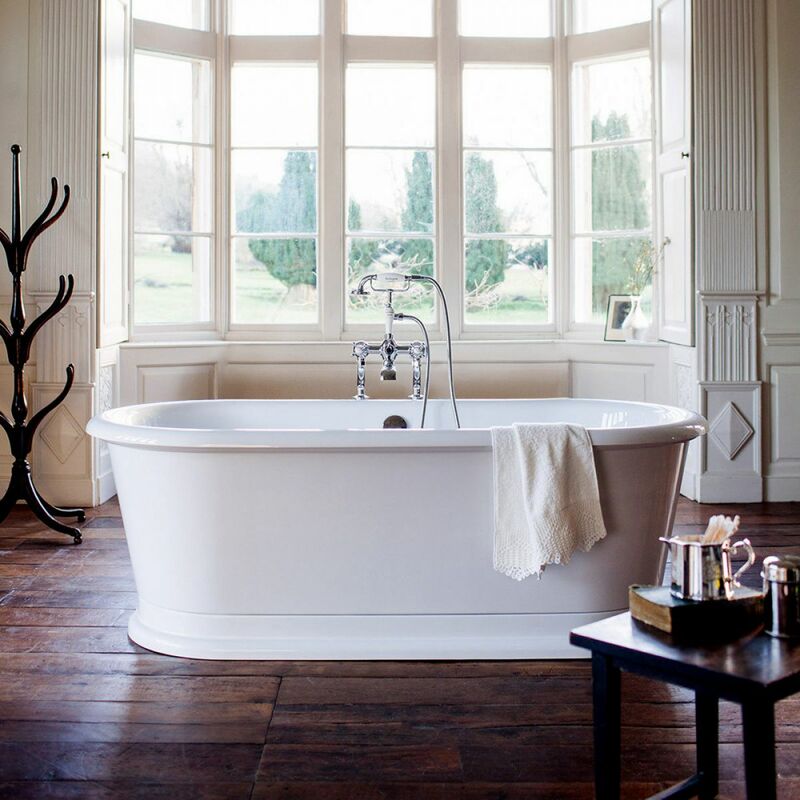 A highly attractive luxury bathtub, the London Round Soaking Tub draws strongly on the traditional designs of the early twentieth century, but brings them up to date with all the benefits of modern materials. 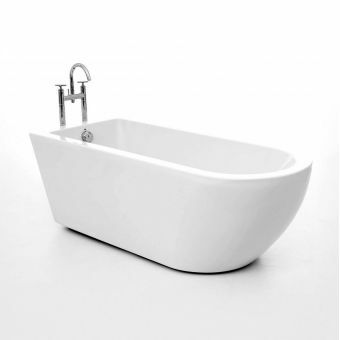 Presented in a smooth and welcoming form, its upper rim mirrors the lower footprint, with a sloping profile to create an attractive look. 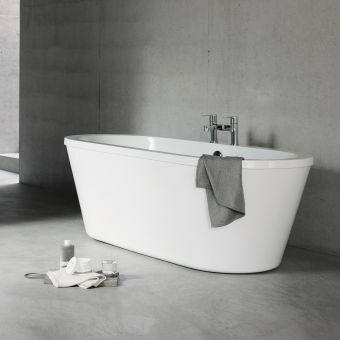 The interior provides plenty of room and support, allowing the piece to live up to its name and provide the user with a truly satisfying tub in which to soak. 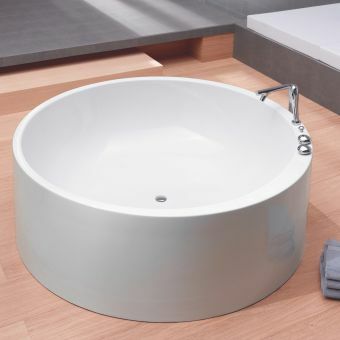 Finished in a brilliant white, its Lucite acrylic coating is both hard-wearing and comfortable. 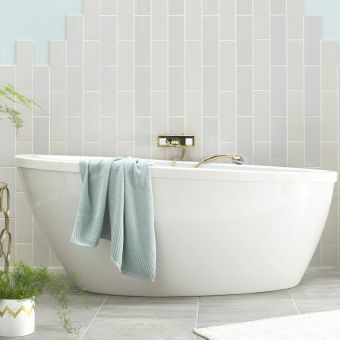 When matched with a tall bath filler, it is perfectly capable of creating the ultimate bathroom centerpiece. 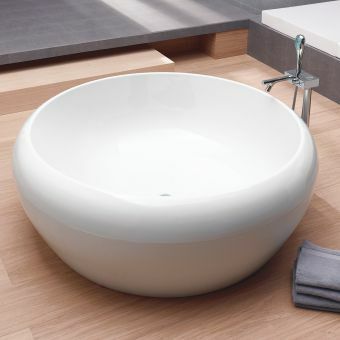 The bath comes with a factory fitted overflow and sprung plug waste. 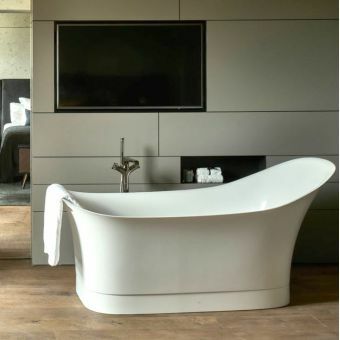 This piece requires a free-standing bath filler.